The London Collections: Men and the British summer are almost upon us – or at least the former is. This year I promised myself I wouldn't let either take me by surprise so I have been adding some SS14 pieces little by little to my wardrobe over the past few weeks. 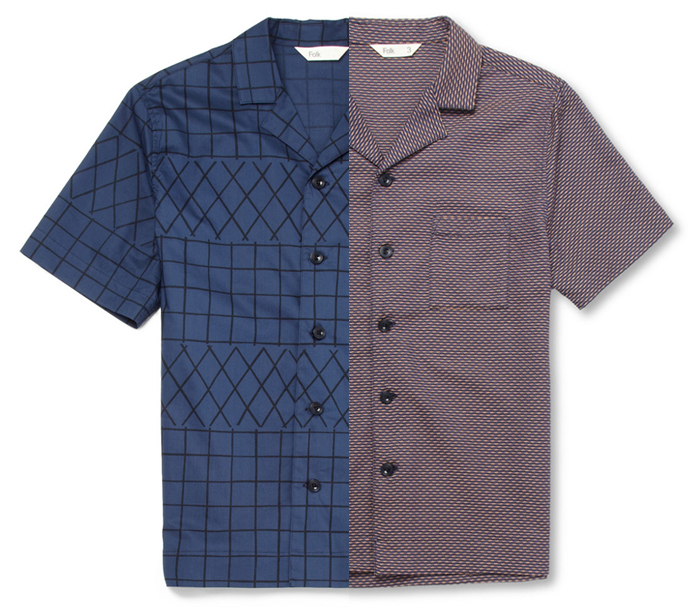 The latest addition are the two Folk Cubavera shirts I bought from Mr Porter this week. The first style, a lightweight printed cotton, is a perfect piece for the hot seasons as it's a chic option to stay fresh. It's work appropriate, suitable for weekend fun and so light you barely know you're wearing anything. The second option, also in cotton, comes in a patterned, textured cloth that feels soft and is also very fresh. This one has also more of a 50's vibe, which I love. They both work really well under light summer blazers or with jeans and shorts and sneakers. I am just so happy I have found pieces that while being subtle and useful also stand out from your regular summer wardrobe. Stay tuned for my looks of the day during the upcoming London, Milan and Paris menswear fashion weeks.